Product #1242 | SKU C21-8362-201 | 0.0 (no ratings yet) Thanks for your rating! 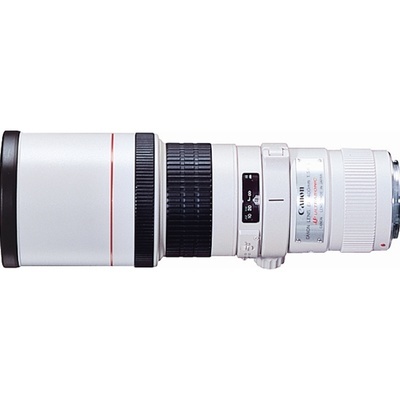 A portable, fast telephoto lens for wildlife & nature photography. Light. Portable. Excellent handling. Sharp. And amazingly fast autofocus. The 400mm f/5.6L is all of these things, and a premier choice for wildlife and nature photographers – one of the finest telephoto lenses in the world for fast-moving subjects such as birds in flight or motor sports. It uses UD-glass elements to provide outstanding optical quality, even wide open, and image quality is preserved when used with either the EF 1.4x II or EF 2x II tele extenders. It accepts 77mm filters, and has a built-in removable tripod collar.